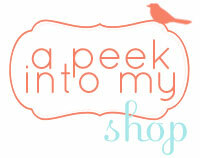 Lu Bird Baby: Karenisa's Lily-Lu Shoppe Giveaway! How about one with bear ears? this giveaway is just for you. of Karenisa's Lily Lu Shoppe. Hi! My name is Karen and I am a stay-at-home mom and run 2 online stores selling hand crocheted hats for infants to adults. I have 3 girls ages 13, 10 and 6 and a wonderful husband who owns a flooring business. I started selling hats on Ebay just over a year ago with my sister. We started sewing fleece hats and I later on added crocheted hats. The economy was hitting hard, and we figured we'd like to make some extra money for Christmas gifts. Little did we know it would take off like it did!! My sister got promoted at her job and no longer had the time to continue with me, so I concentrated on just crocheting hats and joined Etsy in January 2009. Etsy has been wonderful for me and my business, so much so that I will soon be closing my store on Ebay to concentrate on the wonderful customers at Etsy. Crocheting hats has become my full time job and I feel very blessed to be able to stay at home and be just a phone call away from my kids while they are at school. My oldest daughter has Type 1 diabetes and it is ideal to be close to her while she is at school. All my items are made with love and care and with only the softest yarn. I take custom requests as well. Please take a look at my store, I try and add new items weekly. Love the pink and brown. 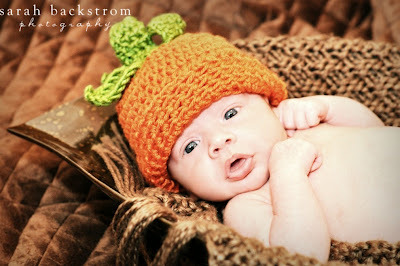 The perfect fall accessory for your little pumpkin. Finally an awesome accessory for boys! I'm a sucker for anything with a flower. in the color of your choice! Make sure to let me know the blog address where you linked from in your comment. 3. Become a "follower" of my blog "Lu Bird Baby". 5. Leave a comment telling us what your kids are dressing up as for Halloween. My kids are going to be a ladybug and a bumblebee. I think that the little pink bear hat with the flower on it is precious! 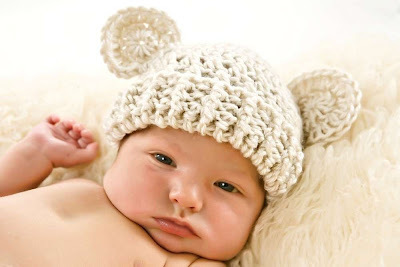 I also like the bear hat in the country blue color, but I think it's because the baby in that picture is so stinkin' cute! My daughters are going to be a cheerleader (the 3 year old) and a pumpkin (the 1.5 month old)...Big sister helped pick out the pumpkin costume! If I have to pick just one thing that I like from her shop, it would have to be the Infant/Toddler/Boys Visor Beanie in Ecru/White/Tan. I love hats & beanies on my son. He just turned 3. Cute stuff in her shop! I don't think there is anything cuter than the bear hat! My 18 month old daughter is going to be a jack-o-lantern, it is an adorable homemade costume. I love them all! But, my favorites are the Pink Bear with the Flower, Neopolitian and Strawberries & Cream! I follow!! such adorable hats!! 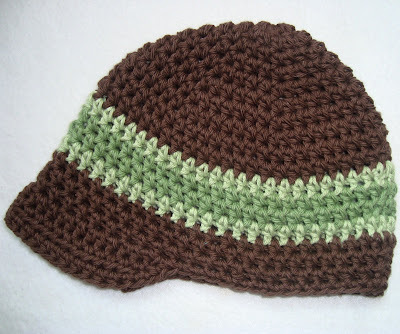 I love the Infant/Toddler/Boys Visor Beanie-Brown and Sage Green. My little guy would look so cute in it. My 4 year old is Anakin Skywalker and my 3 month old will be a giraffe. Those are so cute- I will have to check out her shop! The hat with ears is so adorable! Does that stinkin' cute baby come with it too?!?! 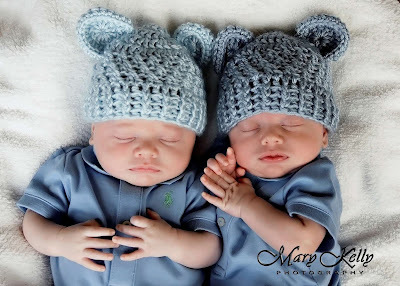 I adore the Adorable Crocheted Hat with Ears--Light Country Blue. so cute! We don't have halloween here, but we have Purim and my kid will be dresssed as a magician. My kids are going to be a ladybug and a dragon! I love the hat with ears in the oatmeal color. It looks so precious! It is so hard to choose! I love the little boy beanies, but I also love the little girl's chocolate brown beanie with the pink flower. They are all lovely! Thanks for the introduction to Karen's shop! My son was a robot with a killer costume made by his dad and my daughter was a princess. oh my...love the Adorable Crocheted Hat with Ears--Light Country Blue-- not only super cute...but that little model is precious!!! I love them all....how can I pick. I love the pumpkin and all of the flower ones, especially the neapolitan! My two youngest kids were tinker bells, my oldest girl was a princess and my son was a pirate. I follow u on her and twitter! My favorite is the crocheted infant hat, with ears and a flower. 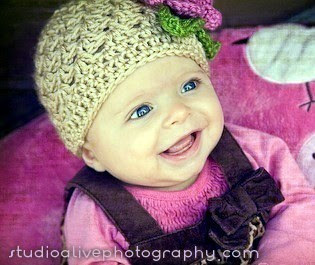 I love the Hand Crocheted Infant/Toddler/Girls Cotton Beanie Hat with the pink flower.... I love everything. My boy was an army man for Halloween. I love the pink bear hats and anything with a flower! My son was a lion for Halloween! My favorite item is the chocolate brown hat with ears. So cute!! My baby is still inside me so he couldn't really dress up for Halloween, but my belly was a giant black bowling ball. I follow you on Twitter (using my husband's account). I love her hats! My new nephew would look great in all of them, but I especially love the ones with bear ears! I love the pink and white striped visor with the flower. I'm a sucker for anything with flowers and my daughter would look so stinkin' cute! I'm a follower of your blog. 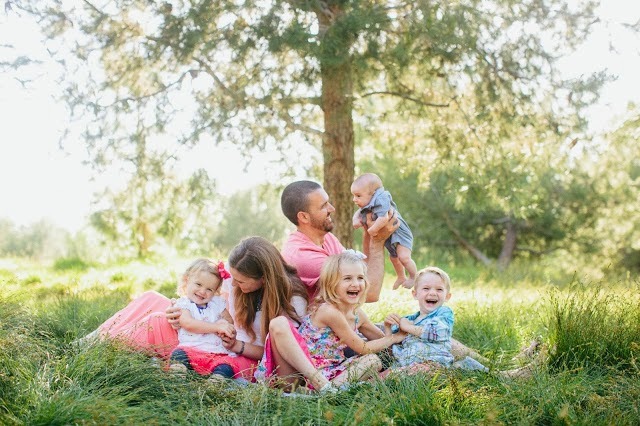 I love everything you create and your children are so adorable! My daughter was a ladybug and my son was a football player.